Cheers to the weekend! Today we toast to a week well done. I wanted to make a super light and refreshing cocktail so I made this ? fizz. 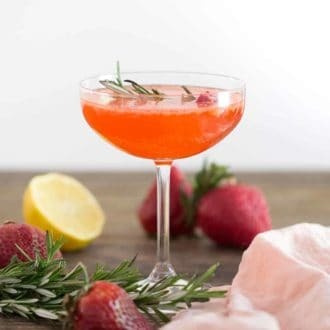 It has fresh strawberries, lemon, orange liqueur, orange bitters, a sprig of rosemary for some herbal aromatics and vodka! Enjoy. 21+?? Add the ingredients into a shaker. Muddle the strawberries and rosemary. YUM!!! These look so refreshing. I’m a big fan of rosemary in cocktails, too! 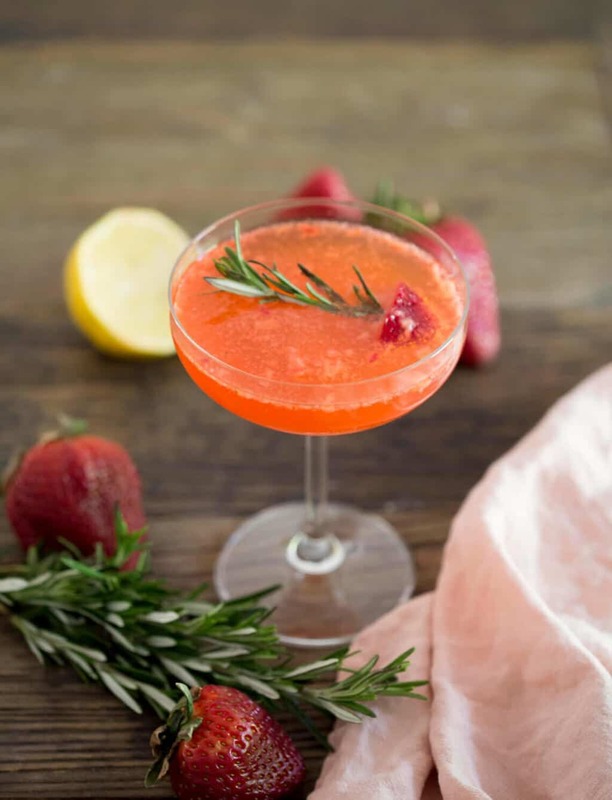 Strawberry and rosemary isn’t a combination I wouldn’t have thought of! 🙂 YUM! Wow, I was really looking for such cocktails which are different as I don’t like the usual cocktails we get in bars. 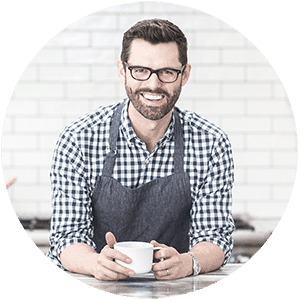 Do you have a website where I can find more such recipes? Hi Donna — Thank you so much! As I make cocktails, I add them to the drink section of this site. Stay tuned, more in the works 😉 Hope that helps! Best, John. Very easy to make!!! Yum.